Derek Moore | what's going "on." After DEERPEOPLE set its instruments down, the band joined “on.” in the living room for an interview. The format of the interview is a little different from what “on.” usually does. The good people at Everynone were the influence. Let us know what you think. 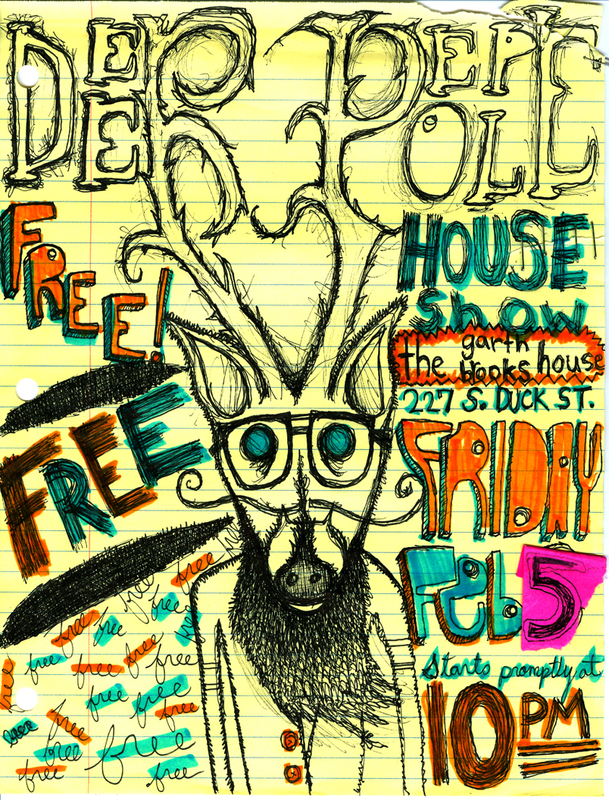 You can see DEERPEOPLE play for free this weekend. Here are the details. Stillwater’s own DEERPEOPLE took its entire living room practice set-up and shoved it into the kitchen. The “on.” crew climbed over shelves, sneaked into a dark attic apace and hovered above a kitchen sink to film a wonderful domestic disturbance. Look for more videos throughout this week.